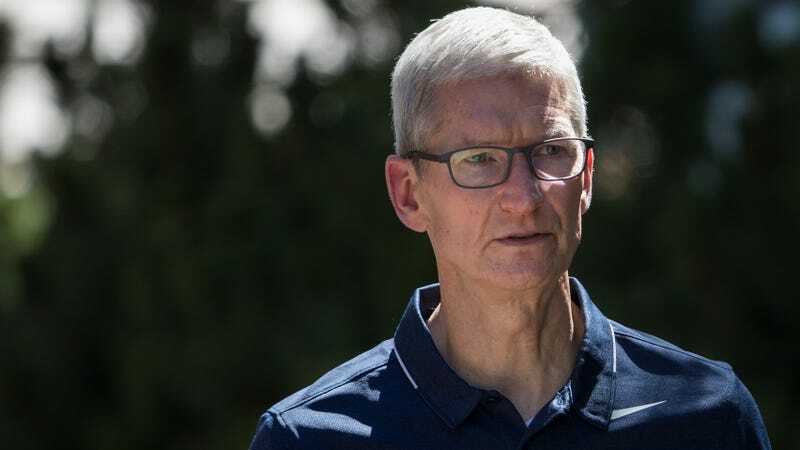 In November, Apple released a report that reportedly indicated it had eliminated its gender pay gap across the world. On Tuesday, it released a new pay-gap report showing that that is not yet the case. The report Apple released today only details pay discrepancies among United Kingdom-based employees. The stats in Tuesday’s report are pulled from hourly pay rates, bonuses, and stock over the course of a year through April 5th, 2017. According to the report, Apple’s average pay gap in the UK is 5 percent lower for women, while the median pay gap is 2 percent more for women. Women make up 30 percent of the UK’s overall workforce, according to Apple’s report. Of that workforce, 92 percent of men got bonus pay and vested stock compared to 88 percent of women. As Apple’s vice president of people, Deirdre O’Brien, noted the new law in the report, the UK implemented a new legal requirement last year that forces companies with 250 or more employees—Apple has employs around 6,000 people in the UK alone, according to the Telegraph—to release information on their gender pay gaps this year. Apple did note in the report that it hired 4 percent more women in the UK last year, as well as 12 percent more women under the age of 30 into leadership roles over the last two years—however, boasting youth as a metric for progress isn’t exactly clear-cut in an industry with an ageism problem. What’s clear from Apple’s report on Tuesday is that it still has yet to close its gender pay gap. What’s more, mean and median pay, bonuses, and stock are not the only indicators of fair wages. Absent in the report are other factors that might work against women in the company, such as the rate at which men versus women are promoted. And, it’s important to note, this is just data for the UK and does not reveal any data on the racial wage gap. Apple declined our request to comment further on its report.